Sunday, November 8, 2015, 4:30 p.m. 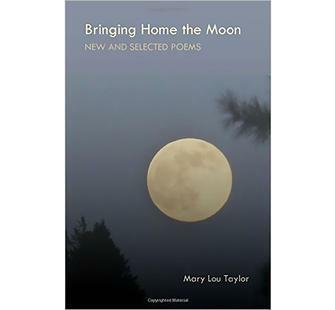 Please join us for a special reading by Mary Lou Taylor celebrating the release of her new poetry collection, Bringing Home the Moon. Books will be available for purchase, refreshments will be served, and beer and wine will be available for purchase. Ten years in the making, Bringing Home the Moon is Taylor's second book. It traces her life path from her childhood in Chicago to her subsequent moves to Los Angeles and Silicon Valley. "Mary Lou is one of my favorite poets," raves Grace Cavalieri, radio host of The Poet and the Poem. "In Bringing Home the Moon, we have her past experience turned into poems boldly planned and implemented through the prism of memory....These are beautifully proportioned recollections you will read and then revisit." Taylor's first book of poems, The Fringes of Hollywood, was published in December of 2002. Her work has appeared in several anthologies, journals, and small press publications. She is a former board member and two-term president of Poetry Center San Jose; a former board member and current Audience Development Committee member of Montalvo Arts Center; and a current trustee for the Center for Literary Arts at San Jose State University.